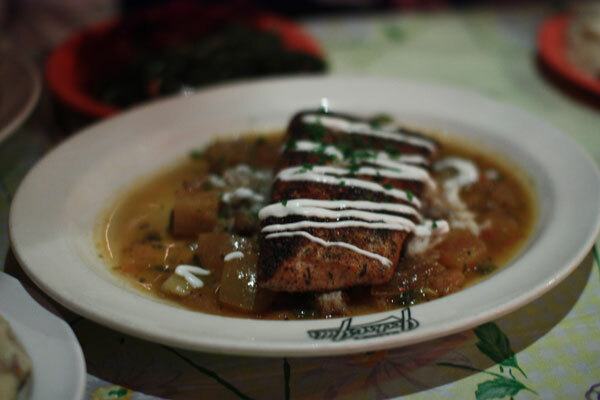 New Orleans is a city that we have always wanted to travel to, both for its fun factor and famous Creole cooking. I was originally planning to go this past February for my bachelorette weekend, but thanks to Snowmageddon, that didn’t quite happen. I still had a credit on AirTran that was going to expire at the end of the year, and Brett had always wanted to travel there too, so we planned a four day weekend on the weekend before Thanksgiving with our friends Jess and Travis. 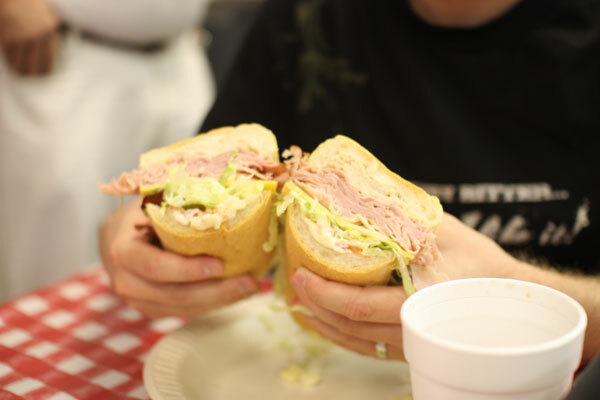 Of course, we could not go to a culinary mecca such as New Orleans without doing our diligent research, so by the time we arrived we already had most of our meals planned out. We arrived in New Orleans around lunchtime, and as soon as we checked into our hotel, we made our way towards the French Quarter. 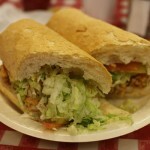 We knew we wanted to try po-boys as our first meal, and since Johnny’s Poboys was a short walk and a staple destination for the New Orleans sandwich, off we went. 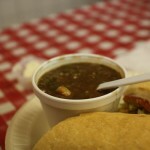 The menu was very overwhelming with at least 20 types of po-boys to choose from, as well as muffaletta, gumbo, fried chicken and more. 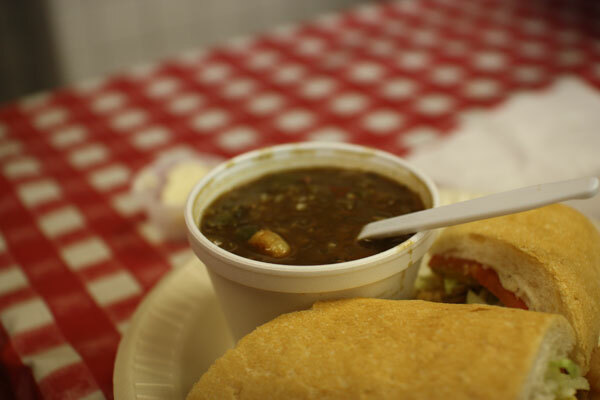 I decided to get the special which consisted of half a shrimp po-boy and a bowl of shrimp gumbo, and boy, was I glad I did! Not only was it the perfect meal to start the trip, but I would have been in trouble if I ordered the full sandwich as they were easily 12 inches and pretty much a meal for the entire day. Brett got a full po-boy with half oysters and half shrimp, and he could barely eat it all while Travis’s BLT po-boy looked like it could feed an entire family. We left completely stuffed, and ready to explore the quarter. The next stop was Jean Lafitte’s Blacksmith Shop at the lower end of Bourbon Street. 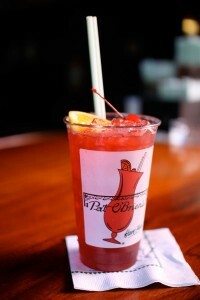 A friend recommended that we check it out as it is the oldest bar in NOLA and perhaps the entire country. It was pretty deserted (then again, it was 3pm on a Thursday) but definitely a cool atmosphere and we consumed our first of many Abita Amber Ales there. Shortly after, we strolled up Bourbon Street and made our way to Pat O’Briens to try the bar’s legendary cocktail, The Hurricane. Since it was still early, each couple split one. We realized the trick was that while they taste strong at first, by the time you get to the bottom, the ice melts a little resulting in a very tasty yet dangerous combination. Cooter’s had a huge beer selection that rivaled that of the Brickskeller in DC, but I have a feeling they actually had more in stock as well as much better food. 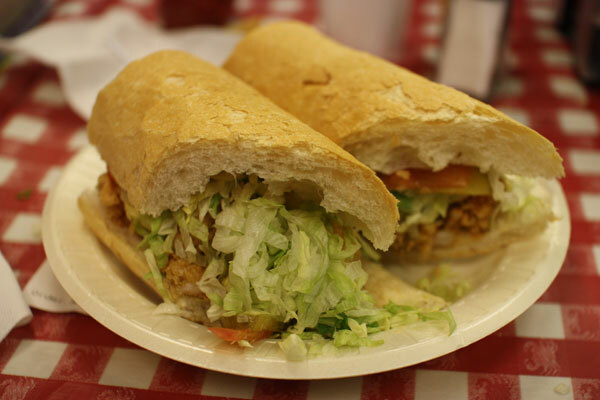 Once our Terrapins put up a good fight but ultimately lost to Pitt, we headed to the famous Jacques-Imo’s Cafe only a few blocks away for some traditional New Orleans cooking. We already knew we would have to wait awhile since they only take reservations for parties of five or more. Fortunately, they have a relationship with the Maple Leaf Bar next door, and after an hour of chilling there with some drinks, our table was ready. The hostess took us to our table, but not before cutting through the kitchen in order to seat us in the rear dining room. 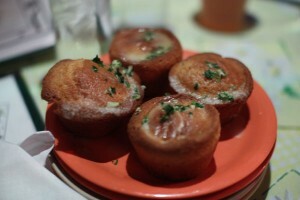 The waitress came by and served us a basket of cornbread muffins that were to die for. While heavy on the butter (but hey, it’s New Orleans), they were incredible as they proved to be crisp on the outside and moist in the middle with more than a tinge of garlic provided in each bite. We were told by nearly every person we encountered before stepping foot in Jacuqes-Imo’s is that we must order the Alligator Cheesecake. And, well, they were right. 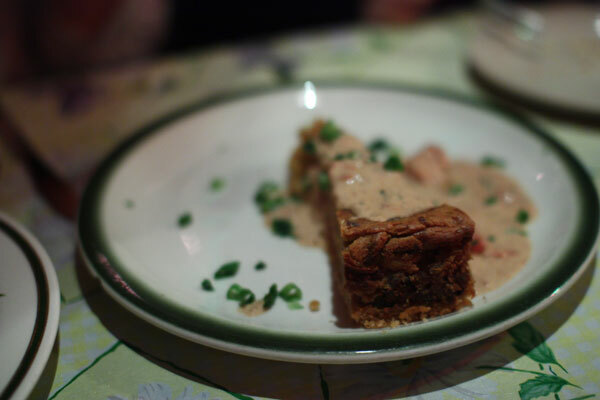 More of a quiche than a cheesecake, it featured pieces of alligator sausage and shrimp and was decadent to say the least. 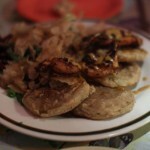 It might have very well been the single best piece of food we ate on our entire trip. It was bittersweet provided we still had three more days of excellent cuisine down the road, but in all seriousness, this was the dish to top. 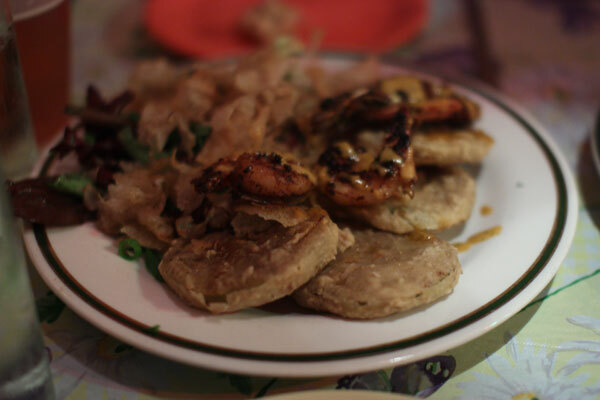 We also split an order of the fried green tomatoes which was accompanied with a highly addictive shrimp remoulade. 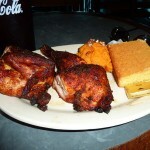 Eating this southern classic while drinking an Abita Amber… life cannot get much better. As for our entrees, I decided on the stuffed catfish with crabmeat dressing. The catfish was impeccably cooked and slightly blackened, and it came with a hollandaise sauce, which I ordered on the side. The crabmeat dressing was basically stuffing with crab, and it melted in my mouth it was so good. Each entrée included two side dishes, so I went with the collard greens and beets. The greens were steamed to perfection but the beets were just OK. I know I got some boring sides compared to others that were offered, but I decided to pick the somewhat healthier options, which was a challenge to say the least. 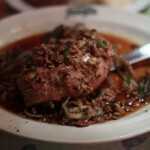 Brett ordered the grilled duck breast served with an orange soy glaze, shitake mushrooms, and pecans. 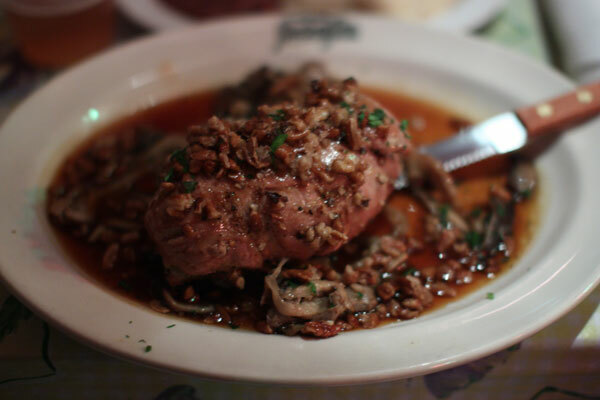 He said the duck was extraordinary as the meat was not only juicy and well-seasoned, but the flavor encapsulated New Orleans with each bite. Brett opted for the mashed potatoes and red beans and rice for his choice of sides. 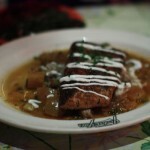 He devoured both of them with ease and was impressed with the quality given how easy it is for most kitchens to lose focus on the sides while putting all their effort into the entrees. 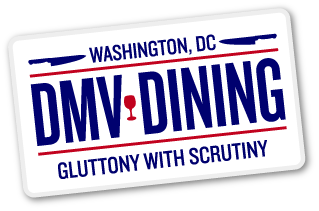 Not the case with Jacque-Imo’s! We were so stuffed that we skipped on dessert, as tempting as it was, and made our way home as we had an early start the next day to head to Slidell for our Swamp Tour!